2016 marks the beginning of a new global commitment towards eradicating poverty in all its dimensions. The 17 Sustainable Development Goals (SDGs) recognise that the well-being of People is inextricably tied to the health of our Planet and that ensuring sustained Prosperity for all will require genuine Peace and equitable Partnerships. All that we do must therefore be directed to achieve the core objectives of human prosperity and planetary health. But how will we know that our actions and the results of our actions are leading to the fulfillment of sustainable development at the most local and the most global of levels and everything in between? This is where indicators for the SDGs come in. 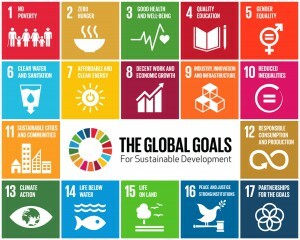 Indicators form the back-bone of the SDG framework of the 2030 Global Sustainable Development Agenda. The indicator framework is expected to be the management tool to help countries develop implementation strategies and allocate resources accordingly. For each of the 169 targets, indicators based on measurable outcomes need to be defined. The UN system initiated a process in March 2015 to define what should be measured and how. This process will conclude in March 2016 to provide a set of indicators that can help track, monitor and guide global and regional development priorities over the next 15 years. Member states will need to define national indicators and prioritise those depending on national contexts. The national indicators will respond to national priorities but will need to be in sync with and complementary to the global reporting framework. With the focus of implementation and therefore of reporting at the national level, the role of an institutional system that is in a position to coordinate with different ministries horizontally as well as with sub-national and local levels vertically is significant. In India, the key responsibility for the identification of national targets is assigned to the NITI Aayog who has been working in close association with the Ministry of Statistics and Programme Implementation and the Ministry of External Affairs for the purpose. The situation in India is complex. The federal structure requires ownership of the metrics of development and the capacities to track it at the state level. The diversity across the length and breadth of the country means that each state will need to relate to a set of indicators that address each of their specific challenges, priorities and preferences while feeding into a common national indicator framework. This complexity is compounded by a nascent ‘NITI Aayog’, still in a process of formalising its own institutional systems, work plans and strategies even as it is required to coordinate a nation-wide consultative process in a very short time frame. In addition to the institutional challenges we face today, the indicators will need to balance real development needs with pragmatic operational requirements. Obvious operational concerns demand that the development of national SDG indicators take into account the practical aspects of data collection for measurement – its source, periodicity, disaggregation level and collection methodology. Selected indicators must also be relevant to the target, attempt for full coverage of and give equal weight to all targets, must maintain the balance of the three dimensions of sustainability and not introduce new or contentious issues, be limited in number and while an indicator may cover multiple targets, it should avoid duplication. They must be measurable and accessible in terms of ease of communication and should be developed through due consultation with stakeholders. Besides the availability of data and human and institutional capacities for data collection and management, one of the biggest concerns of tracking development is the definitions or ‘What we are actually measuring’. What we value determines what we chose to measure, and what we measure will determine what we will act upon. Getting half a billion people out of absolute poverty and ensuring sustainable livelihoods and meaningful jobs for 65% of our population are India’s priorities today. Therefore, the indicators we choose need go beyond merely counting numbers reached to the quality and to the expected impacts of the reach. For example, with 300 million people lacking the benefits of modern electricity, indicators regarding energy access must not only measure the number of villages where poles and wires have reached and the quantum of renewable energy produced but also, and more importantly, the definition of ‘access’ must include quality and reliability of the energy service at the last mile as well as how ‘green’ this energy is. Similarly, the goal on safe water would not only measure construction of piped water supply or wells dug, but also the rejuvenation of water sources, quality of the water available and the quantity and reliability of flow 24×7. Since India must increase its independence in technology development and innovation, the Goal on education and human capacity must measure primary, vocational education and higher education, especially in STEM fields disaggregated by gender, caste, religion and region as well as the state of our research centres and infrastructure. The indicator framework also needs to monitor and track what is expected to happen if targets are met – what is being tracked, where is it being tracked and which target group are being tracked. For example, access to quality energy and connectivity of road and tele-communication contributes to economic growth. The target on economic growth must look for these in the remote villages of India and not just in industrial parks and SEZs. Or, for example, access to education and jobs to women has been empirically identified as the single most critical contributor in reducing family size and lowering the growth rate of the population which is amongst the most pressing needs of our country today. Another area, we are grappling with is employability, skills and jobs for youth. Looking through studies on what contributes to this, we see access to primary education and to skill development opportunities and localisation of manufacturing, industry and infrastructure. This clearly shows links between the goal on access to education and economic growth but more critically the overall poverty eradication Goal #1.and the national programmes of Make in India and Skilling India Goal # 8, 9 and 4. Another desirable feature of an indicator is its representation of multiple targets. 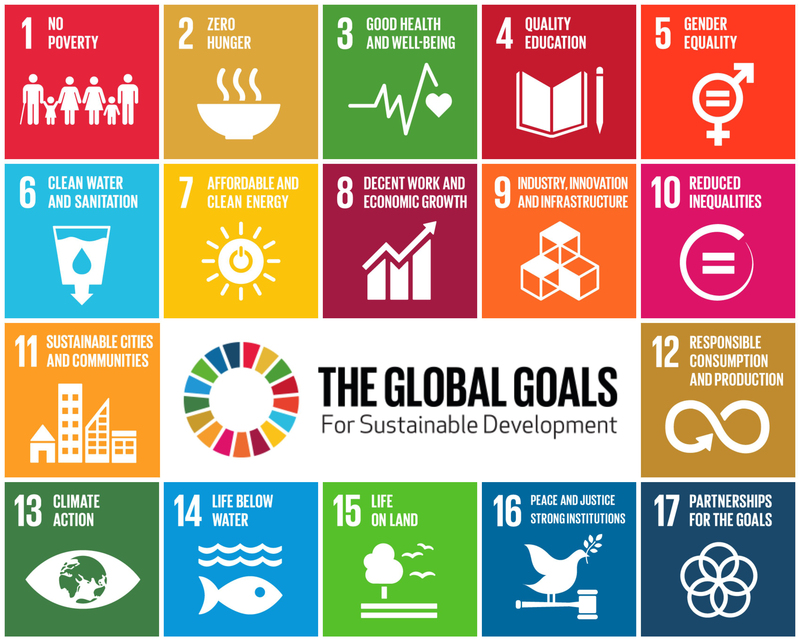 Many researchers have referred to the complex and interrelated nature of the SDG framework. This provides an opportunity to design smart indicators that reflect the connections and inter-dependence across the Goals and respond to more than one target. For example, the health of and access to water resources is a binding thread across a large number of Goals (Kamepalli and Pattanayaka, Current Science, 2015). This indicates not only the significance of water and aquatic systems in our lives but also that tracking the health of aquatic systems, the availability of water for variety of applications, the access of safe water by all segments of society and the role of effective water management in ensuring climate resilience is critical. Thus, even though for some of the aspects, we may not yet have baselines and data collection systems, we will need to build them. Another example is land – a limited eco-system on which depend most of the goals such as those relating to agriculture and therefore food security, urban growth, industrialisation, forests, energy (plantations), biodiversity etc. Availability and access and rights to land impact poverty and equity issues and therefore it is necessary to track shifts and trends in the human use (and abuse) of the land and terrestrial eco-systems in order that we can track and predict what may happen to our food systems, our forests, our community economies as well as our industrial economies. A third example is indicators related to the empowerment of women and girls and its manifestations acrossgoals. Therefore, gender segregated data with respect to girls in school or girls in STEM fields, women in employment and women at management and decision-making positions, asset ownership by women and maternal and reproductive health, average age of marriage and number of children will need to be tracked. A fourth example and no prizes for guessing, is climate resilience. The impacts of this Goal #13 in the SDG framework are far reaching as we know. Much of the development gains are threatened to be rolled back due to extreme events, unpredictable weather patterns and shifts in the temperature – precipitation regimes. Therefore, mainstreaming this goal through the entire goal framework with relevant indicators of adaptation and risk mitigation measures is critical. And so, while it may be necessary to prioritise in order to have a handle-able set of indicators to work with, it would be wise to select those that indicate the most connections across the goal framework so that these provide relevant information and knowledge to guide policy and programme action. India is standing at very interesting cross-roads. Innovations in technology and delivery systems can help us leap-frog many hurdles and achieve our development goals for sustainable food production, energy access, sanitation, drinking water, health and shelter. The motivation, however, must be the greater empowerment of and expansion of human capacity and the conservation, indeed revitalisation of our natural capital forming as it does the life support of our existence. The process must essentially be participative, accountable and just. And, the indicators must measure the processes and the health of our life support systems along with expected human development results. With limited resources, it would be prudent to ensure that we generate maximum value from the investments that we make towards a sustainable future. This will require careful prioritisation based on not only what is feasible and logical under current circumstances and capacities but what is desirable and opportune, even if in some cases, it will need us to make counter intuitive choices and demand additional institutional and human capacities. New greener jobs, vibrant local economies and resilient communities are our gains if we measure what really matters and direct investments and energies towards these.